There's no better way to celebrate than with delicious birthday cake! 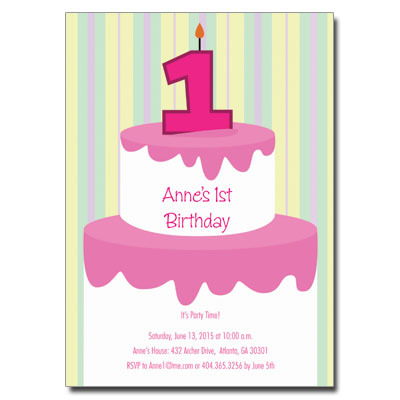 This design is perfect for your girl's first birthday. Card measures 5x7.